What would you take to space? 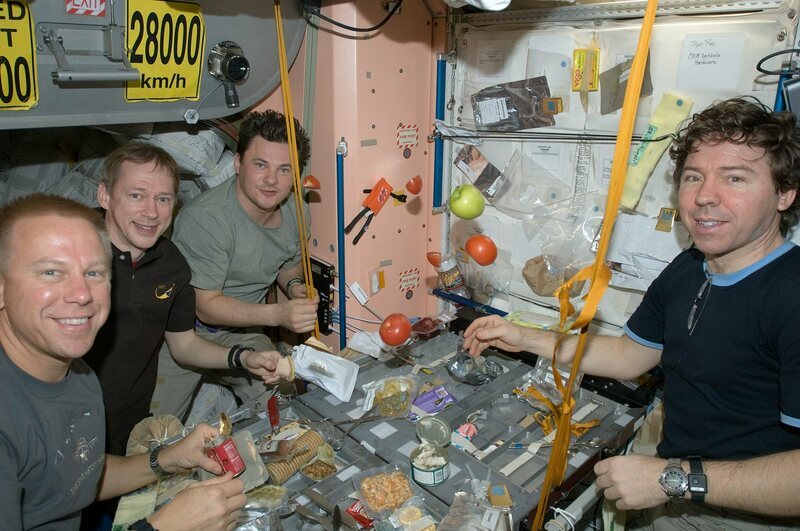 This article from Atlas Obscura explains about some of the food choices astronauts can make. Of course, this is not to say that Koreans can’t have lasagna and Italians can’t have kimchi. So what woud you take to space? Typical traditional Japanese foods like miso soup, rice, pickle and grilled fish? More modern Japanese foods like omu-rice, okonomiyaki or ramen? If you think that would be too hard to eat in zero-gravity, scan the article for “Space Ram”. Skim the article for other interesting details like whether or not food in zero gravity is blander or spicier than it is on Earth, why crumbly foods like croissants can be dangerous, and how they dealth with kimchi’s strong smell. See what it’s like to feel the pull of g-force (in a simulator). At the end, he says, “Blimey!” Don’t run for your dictionary app. Can you guess what that word means from context?